It rarely matters who is on your side; what matters is who is against you. Unlike Gloria Loring, you don't need a friend and you don't need a lover. What you need is (a) one quality nemesis and (b) one archenemy. These are the two most important mechanisms in any human's life. We measure ourselves against our nemeses and we long to destroy our archenemies. They are the catalyst for why we do everything. Now I know what you're asking yourself: How do I know the difference between my nemesis and my archenemy? Here is the short answer: You kind of like your nemesis, despite the fact that you despise him. You will always have drinks with your nemesis. You would attend the funeral of your nemesis, and -- privately -- you might shed a tear over his or her passing. However, you would never choose to have a cocktail with your archenemy, unless you were attempting to spike the gin with arsenic. If you were to perish, your archenemy would dance on your grave, and then he'd burn down your house and molest your children. You hate your achenemy so much that you keep your hatred secret, because you do not want your archenemy to have the satisfaction of being hated. If this distinction seems confusing, just ask your girlfriend to explain it in detail; women have always understood the nemesis-archenemy dichotomy. Every woman I've ever known has at least one close friend whose only purpose in life is to criticize their actions, compete for men's attention, and drive them insane; very often, this is a woman's best friend. Consequently, females are always able to find the ideal nemesis (usually without even trying.) Meanwhile, every woman also has a former friend (usually someone from high school with large breasts) whom she has loathed for years and whom will continue to loath with the intensity of a thousand suns, even if she only sees her once every ten years. This is her archenemy. Women intrinsically understand human dynamics, and that makes them unstoppable. Unfortunately, the average man is less adroit at fostering such rivalries, which is why most men remain average; males are better at hating things that can't hate them back (e.g., lawnmowers, cats, the Denver Broncos, et cetera). They don't see the big picture. 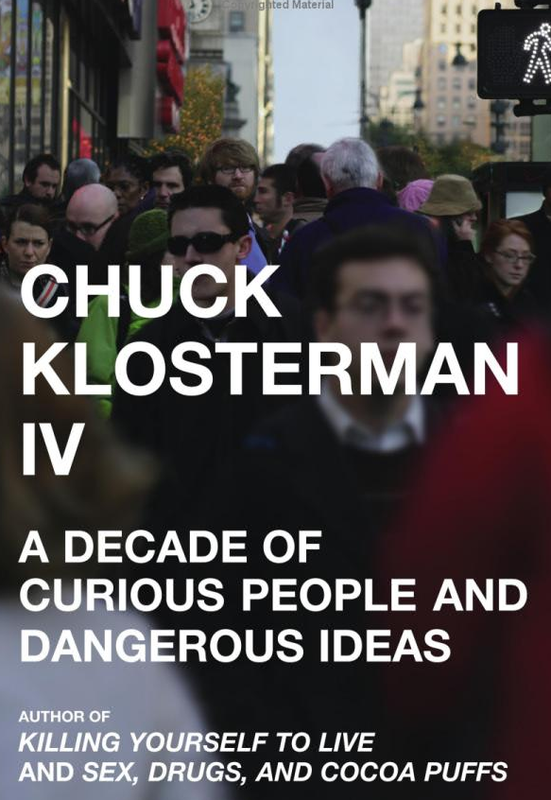 The above was excerpted from Chuck Klosterman's book of articles and essays, IV: A Decade of Curious People and Dangerous Ideas. Chuck Klosterman is our generation's Kurt Vonnegut, only more into pop culture and sports, and probably less serious. But just as pithy. He is pithy as hell.